Life insurance just makes sense. 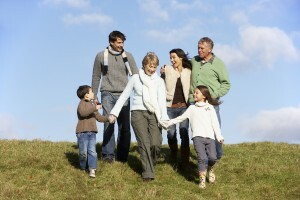 No matter what age you are or stage of life you’re in, life insurance is something to consider. Buying a life insurance policy can give you the peace of mind in knowing that if something unexpected happened to you, your family will be taken care of. By providing money to your loved ones in unforeseen circumstances, Orlando life insurance can help your family pay for your child’s education, offer re-adjustments for lost income, pay for financial needs, and more. The length of your life insurance policy can be matched to your specific needs so that, for example, if you just bought a house and your mortgage will be paid off in 30 years, your life insurance policy can cover you during that period. Also, your payments can be flexible, depending on what’s best for you. If you want to pay all at once or on a monthly basis, the choice is yours. Prepare for the unexpected by having our independent insurance agency in Orlando handle all of your insurance needs. Our dedicated team is here to answer all of your questions regarding life insurance and provide you with the insurance policy that’s right for you and your family. Call our Orlando insurance company today at 407-869-4200 to request a quote.